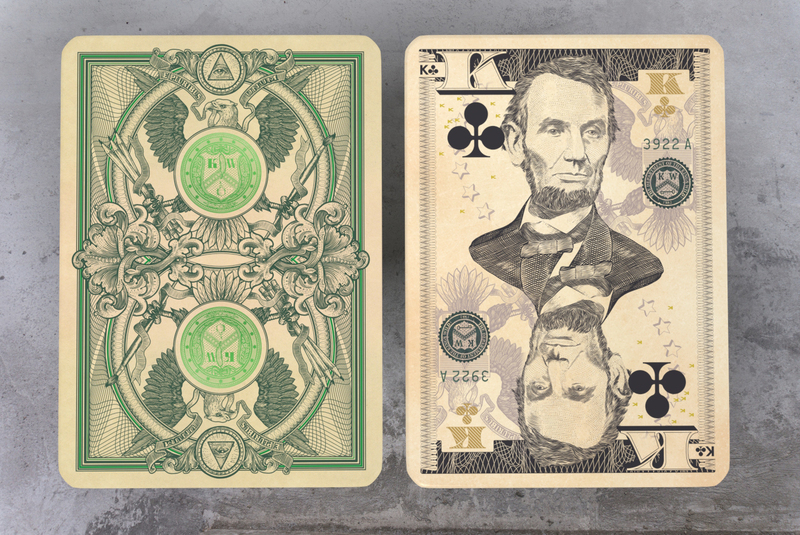 Over three years ago I started on a journey of designing playing cards with my very first playing card Kickstarter titled Federal 52. 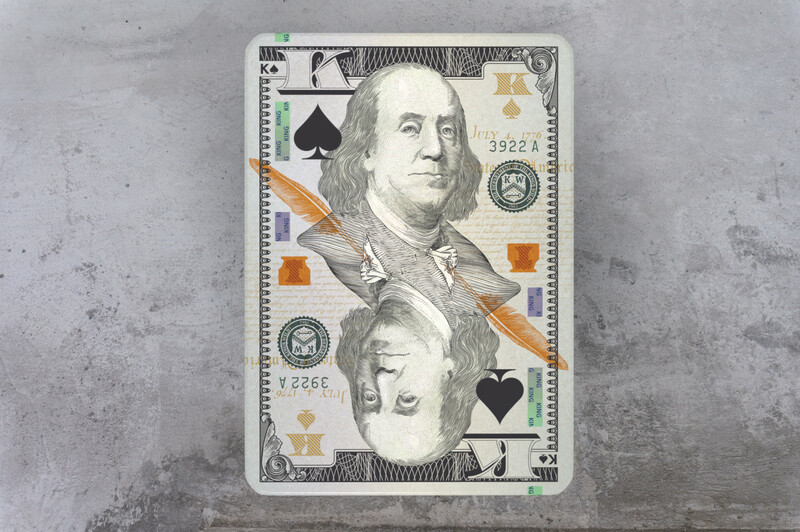 Over those years I have grown so much as an illustrator and a playing card designer. 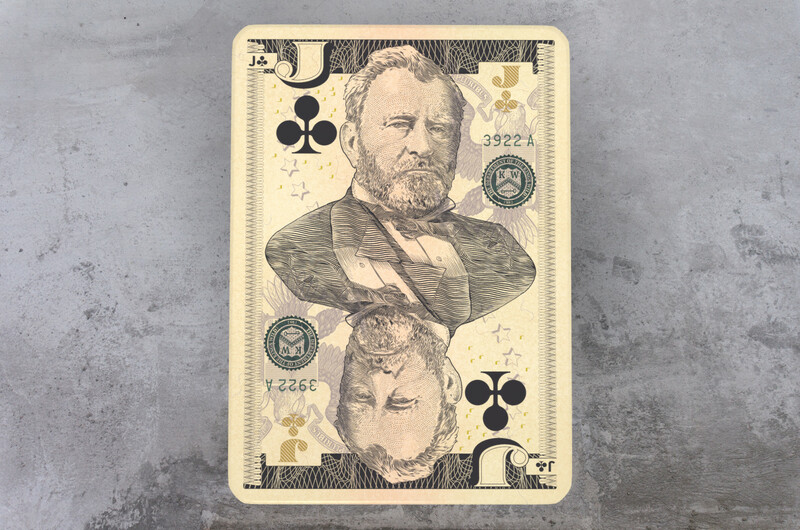 It is my hope with Legal Tender to take what I have learned from all of the lessons and experiences over those years and create the finest deck of playing cards the I can create. 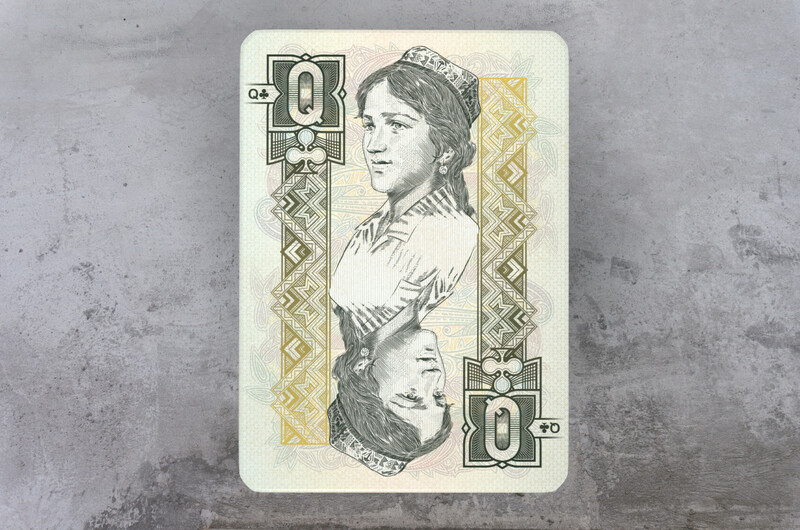 Legal Tender is the natural evolution of my incredible love of currency art and bank note engraving. 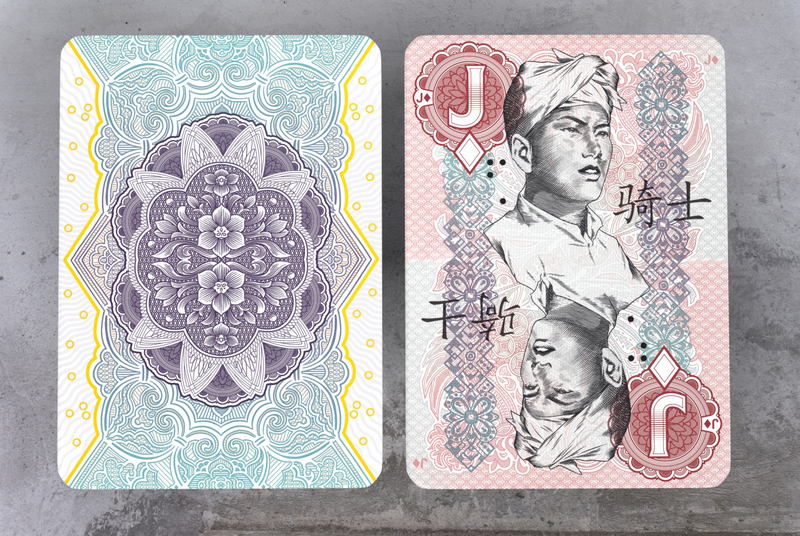 It is my hope with Legal Tender to create a series of decks that champion the vastly different styles and looks of currency of the world, starting with modern US and Chinese notes. Thank you so much for dropping by and thank you so much for backing the project. 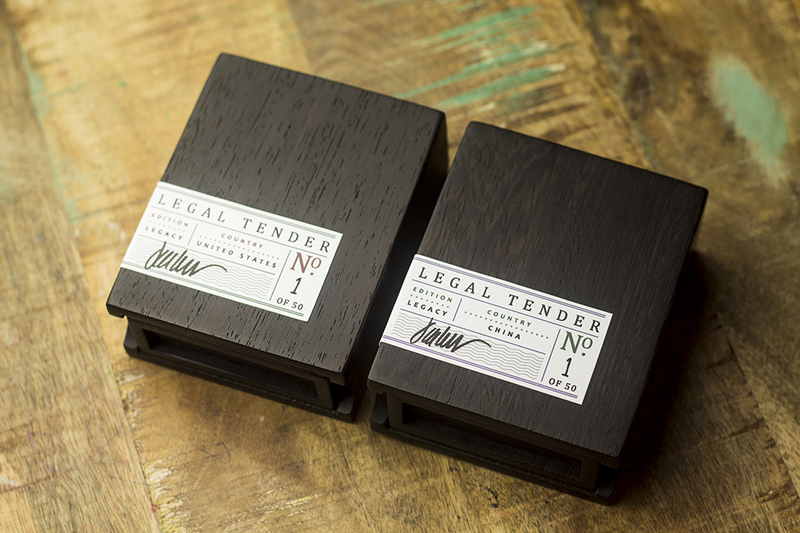 Each Legacy Edition comes in a hand made African Wenge wood slip case, with a hand signed and numbered stamp and silver foil Kings Wild seal. Each case is hand made so the Legacy Editions will be limited to only 50 sets. If you would like to add on additional items to your pledge simply use this list to figure out how much money you need to add to your existing base pledge. The prices below include the price of shipping and handling. I have been a professional artist for over 16 years and through that time I have learned many incredible lessons and experience so many wonderful things. It wasn't until I had the two rug rats you see above that I realized the importance of teaching life lessons by leading with my own example. Everything I do in life I do for the glory of my savior Jesus Christ and for these three girls. No matter what race, religion or creed you come from, teaching our children, respect, responsibility and most importantly to love others is the most important thing I can do as a father. I try to set an example for them through my work, that if you put your hand to work for any reason it should be with your whole heart so that you may do your best for others and for yourself. I also have the privilege of working for No. Four St. James in Austin Texas as the director of Product Development. Notice: All images are conceptual renderings of the final product. 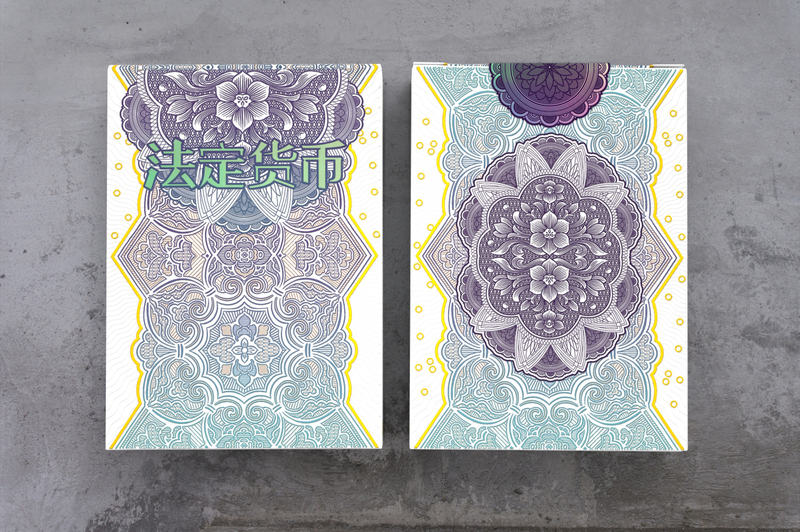 The final product may vary from the images supplied during the Kickstarter project. All images and content is © Copyright material and may not be reused or published in any form with out the expressed written consent of the creator Jackson Robinson. Thank you for your understanding. I wanted to give a special thanks to two people. First off I wanted to thank my older brother Taylor for his help and wonderful work on the Kickstarter video. Taylor has done all of my videos over the years and his help and talent is priceless. You can check out his incredible work by clicking the link below. I also wanted send out a special thank you to my good friend William Kalush. 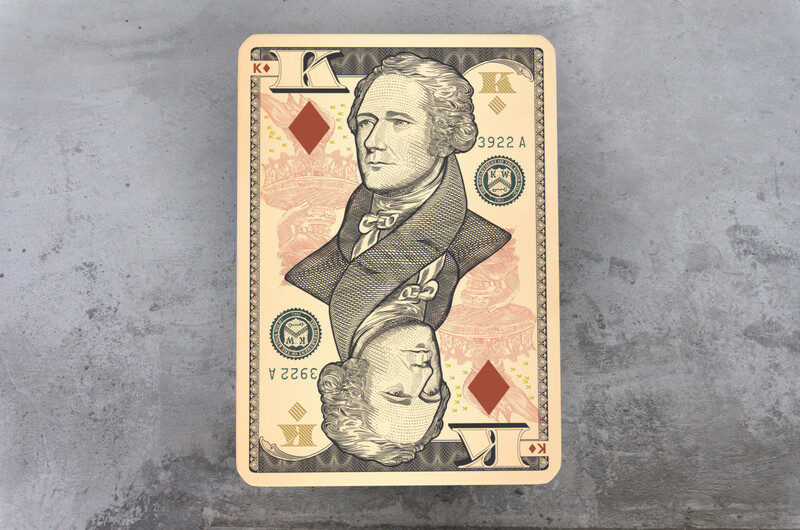 William is the owner and operator of The Expert Playing Card Company. I have had the great pleasure of working with William on many occasions in the past and I excited to be working with Bill and EPCC on Legal Tender. There are many risks and challenges when running your own Kickstarter campaign. I will use my experience of running over 15 successful Kickstarters to make sure that you are fully informed of the complete process and also get exactly what you pledge for. 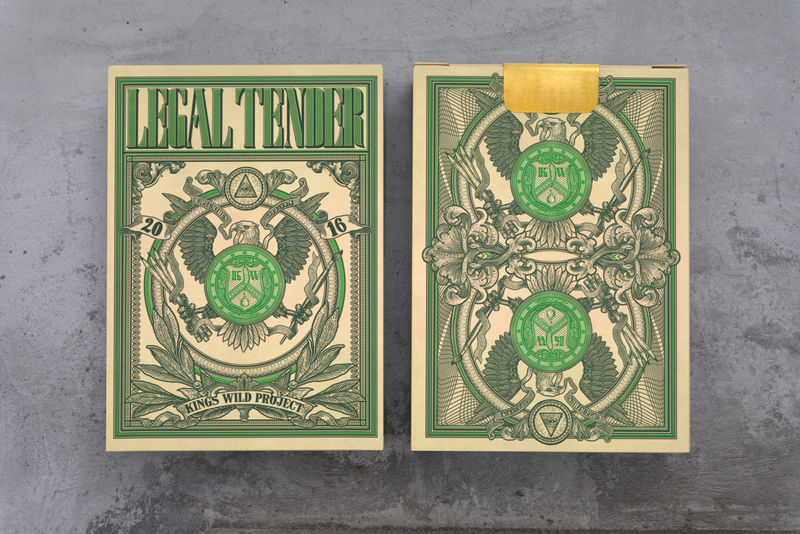 A1 - "One US Deck"
B1 - "One Chinese Deck"
C1 - "One of Each"
D1 - "Two of Each"
E1 - "Four of Each"
With the Legacy Edition Collector's Set you will receive two hand made African Wenge wood slip cases - a US edition and a Chinese edition Legal Tender Playing card deck. 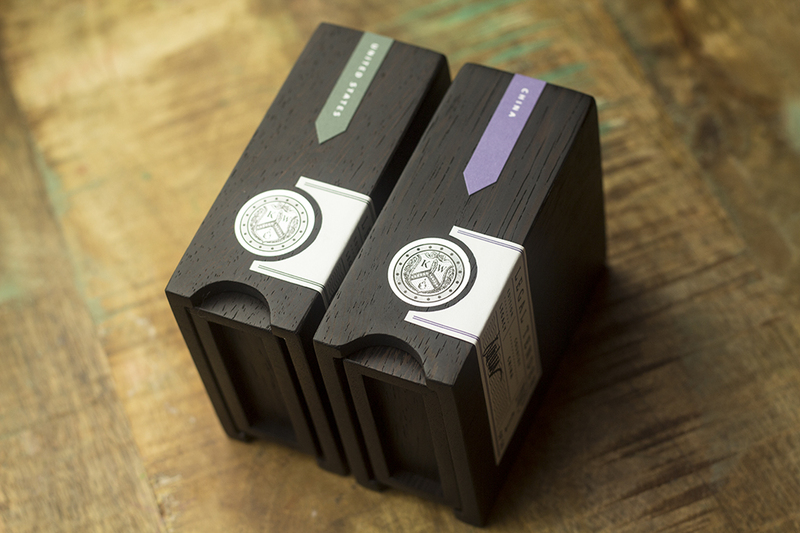 The wooden cases are hand made and only 50 sets will be made.